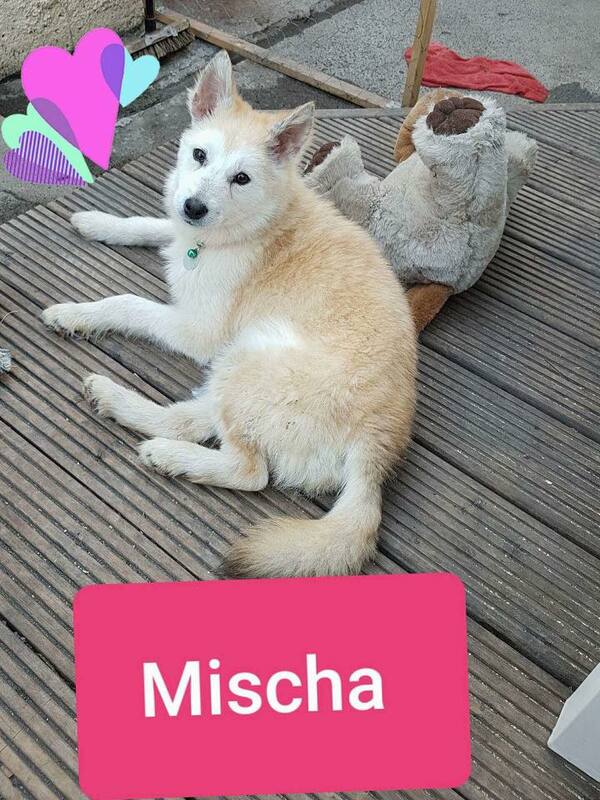 Mischa is 6/7 months old and is husky cross who will be medium in size when fully grown, Mischa is great with other dogs of all ages and sizes and would be suited to a home with older children. She is house trained and great on a lead. She loves to curl up and sleep the day/night away after a nice walk. She is such a sweet ,smart and funny little girl. 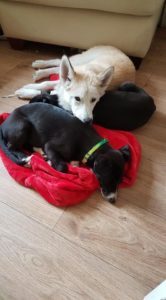 She hasn’t grown since coming to us so we don’t think she will be large 🙁 she is house trained , knows her commands and great with all ages of dogs she is an amazing big sis to the nearly 9 week old pups also with us and loves nothing more than to fall asleep at your feet. Mischa has come a long way since she first arrived, she was terrified of being rubbed, fed or walked and now she loves it all.